[Satnews] Kratos Defense & Security Solutions, Inc. (Nasdaq:KTOS) announces their SAT Corporation subsidiary will provide expanded end-to-end satellite RF monitoring, interference detection, geolocation and mitigation services to the Joint Functional Component Command for Space (JFCC Space). A component of the U.S. Strategic Command (USSTRATCOM), JFCC Space is responsible for executing continuous, integrated space operations to deliver theater and global effects in support of national and combatant commander objectives. 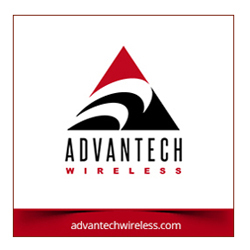 This includes protecting the commercial satellite bandwidth leased by the U.S. Department of Defense (DoD) to support a variety of critical mission needs such as reconnaissance, surveillance and broadband communications between commanders and field units. Air Force Space Command (AFSPC), as USSTRATCOM's service component, has renewed investment in Space Situational Awareness activities and protecting the overall space environment. Additionally, new initiatives such as the Joint Interagency Combined Space Operations Center (JICSpOC) and the Commercial Integration Cell (CIC) have focused on a robust government and commercial partnership. Kratos' Spectral Services team is an integral part of implementing this collaborative effort in addressing the contested and congested RF Environment. Kratos has been tasked with end-to-end protection of the commercially-leased bandwidth for U.S. Central Command (CENTCOM) and U.S. Pacific Command (PACOM). Kratos will continue to leverage their multi-million dollar investment of strategically positioned sensors to expand the range of services they have been providing to JFCC Space. Kratos' Monics® sensor infrastructure covers a majority of the fixed satellite service beams and uses state-of-the-art technology to take high-speed, accurate measurements of critical satellite systems. Kratos' globally deployed monitoring and geolocation assets will detect and locate the source of any intentional or unintentional interference. Kratos, in partnership with JFCC Space's Joint Space Operations Center (JSpOC) and Army Strategic Command (ARSTRAT) will work to resolve interference events that impact critical DoD missions. This award represents an expansion of an existing services contract to support more comprehensive coverage and improve collaboration. 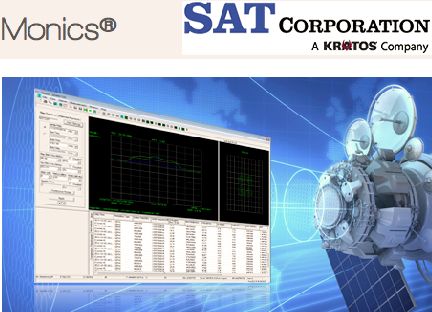 According to Greg Caicedo, Vice President and General Manager of SAT Corporation, "Kratos utilizes several of its products to deliver these services to JFCC Space, including Monics, the industry's leading carrier monitoring system; satID®, the most accurate geolocation solution; and Compass® Monitoring & Control (M&C) that monitors the health and performance of all devices supporting the services. The end-to-end services are supported by Kratos' 24/7 Network Operations Center (NOC) in Colorado Springs, Colorado, manned by expert RF analysts." "As military communications increasingly rely on commercial payloads, newer, lower cost methods of providing resiliency to interference are fostering the convergence of DoD and commercial protected communications applications," said Phil Carrai, President of Kratos' Technology and Training Solutions Division. "Kratos' spectrum monitoring and geolocation products and services continue to play the lead role in that convergence with new solutions for RF management and protection."